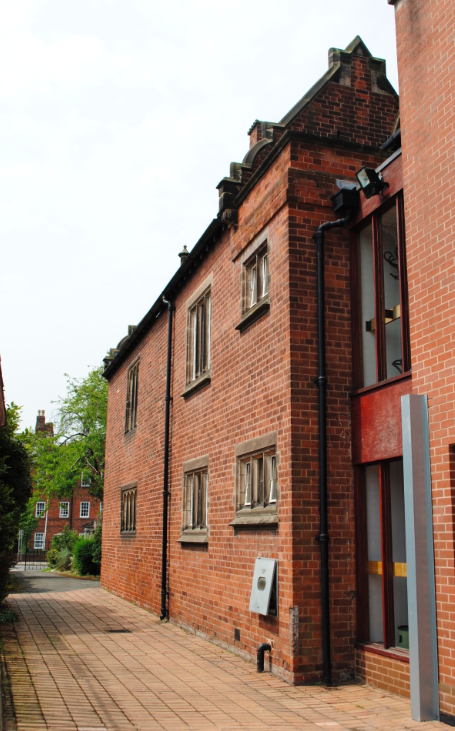 Connecting St John Street and Frog Lane is a former carriage drive known as Castle Ditch. The grid street plan of Lichfield, which is still present today, was the design of the medieval Bishop of Coventry and Lichfield – Roger de Clinton. The Bishop expanded Lichfield and built a moat around the city. 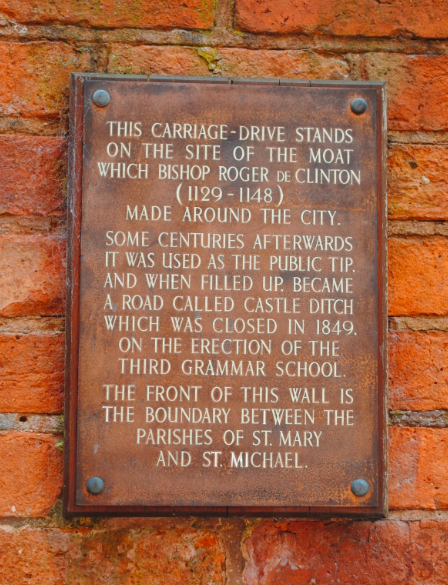 Following the building of the third Grammar School in 1849, Castle Ditch Carriage Drive was closed and a plaque now bears testimony to the history of the site.